Do Hoang Tuong (b. 1960, Quang Nam, Vietnam) belongs to an influential generation of abstract painters in the South of Vietnam who quietly endured, and indelibly affected, by the tumultuous period of conflict between North and South Vietnam (popularly referred as the Vietnam War). Do’s signature figures are often stretched or contorted in torment, their legs in sexualized pose with bodies in disproportion as if they exist in a world spent of desire. Do graduated from the Ho Chi Minh City Fine Arts University in 1984 and is represented in the public collections of the Vietnam Museum of Fine Arts, Hanoi and the Ho Chi Minh City Fine Arts Museum. 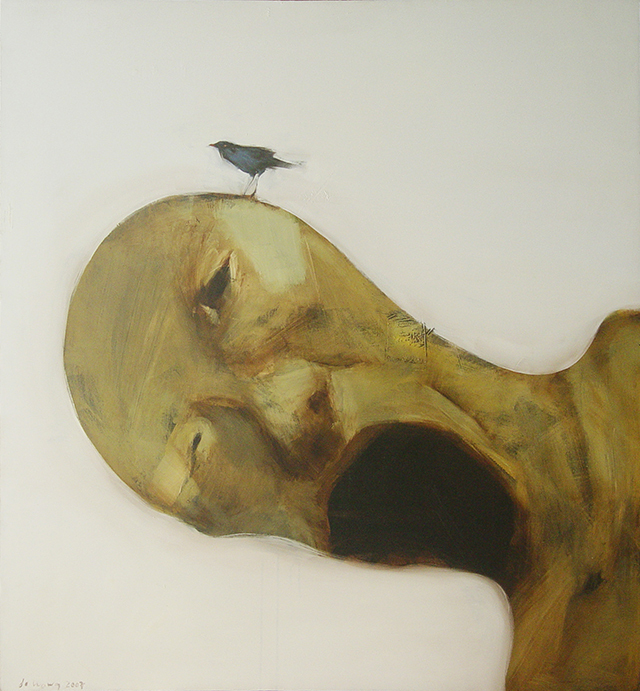 He currently lives and works in Ho Chi Minh City, Vietnam. Select notable exhibitions include: ‘Dawn: Four Artists from Vietnam’, Cuc Gallery, Hanoi, Vietnam, 2012; ‘of reveries and obsessions’, Galerie Quynh, Ho Chi Minh City, Vietnam, 2010; ‘Beneath my skin’, ifa gallery, Shanghai, China, 2009; ‘Vietnam Mon Amour’, mc2gallery, Milan, Italy, 2009; ‘New Figuration in Vietnamese Painting and Sculpture’, Monash University, Australia, 2005.